Diesel Car Hire offer a comprehensive fleet of 4x4 (4wd) all terrain vehicles at highly competitive rates. These vehicles are custom equipped for travel to remote areas and for travel into the less developed countries in Southern Africa. 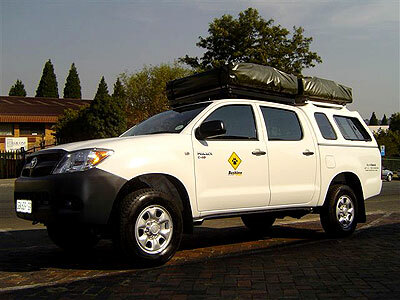 Most of the 4x4 vehicles offered by Diesel Car Hire are available as fully equipped self-contained campers. 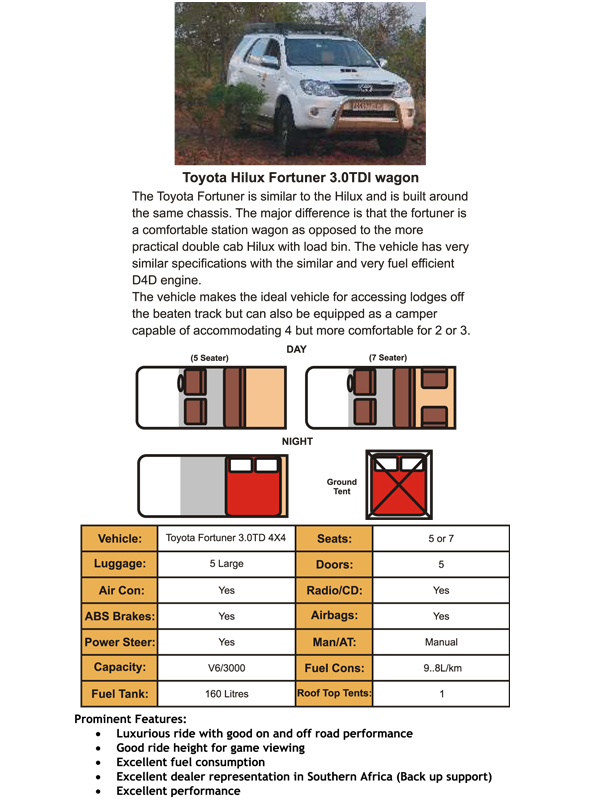 Please see the equipment list included with the 4x4 camper option. 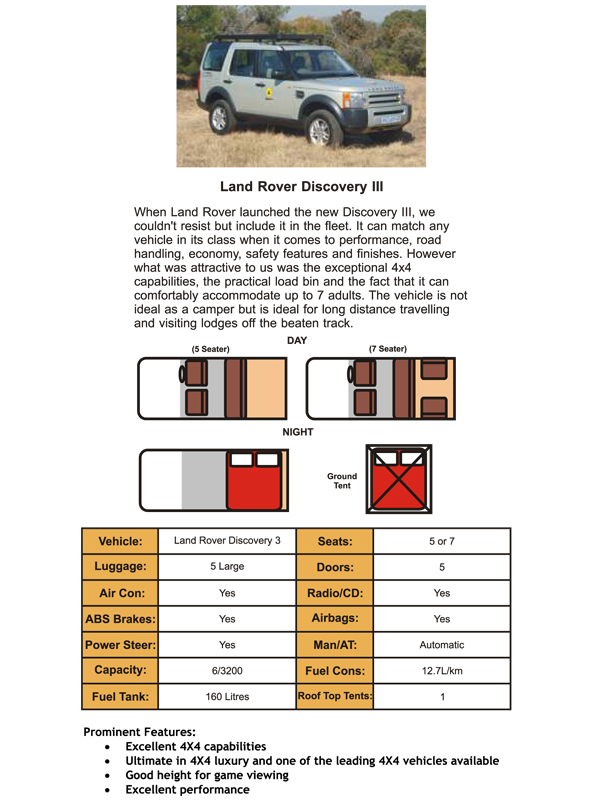 Why choose a 4x4 vehicle for your travel? Unlimited access to all areas, many of the finest game reserves and most pristine coastal areas in Southern Africa are only accessible by 4x4 vehicles. 4x4's offer rugged reliability and additional peace of mind. 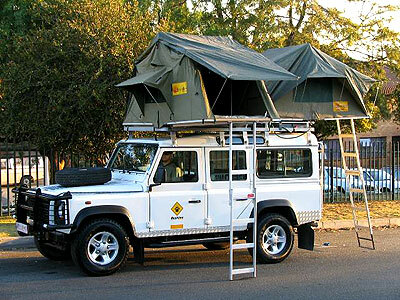 4x4 vehicles are almost always essential for cross border travel or in the countries outside of South Africa, such as Botswana, Mozambique and Namibia. Appreciating the wild areas of Africa – vast wildernesses and large game reserves are found throughout Southern Africa. Many of these areas are remote and facilities limited but they offer unique and unforgettable experiences that can only be enjoyed in one of our safari campers. The additional ride height of 4x4 vehicles allows for far better game viewing. We have an extensive fleet of 4x4(4wd) all terrain vehicles for hire. These include the Mitsubishi Pajero, the Toyota Hilux and Mazda Drifter Double cabs, Toyota Landcruiser, Toyota Condor and Land Rover Defender. 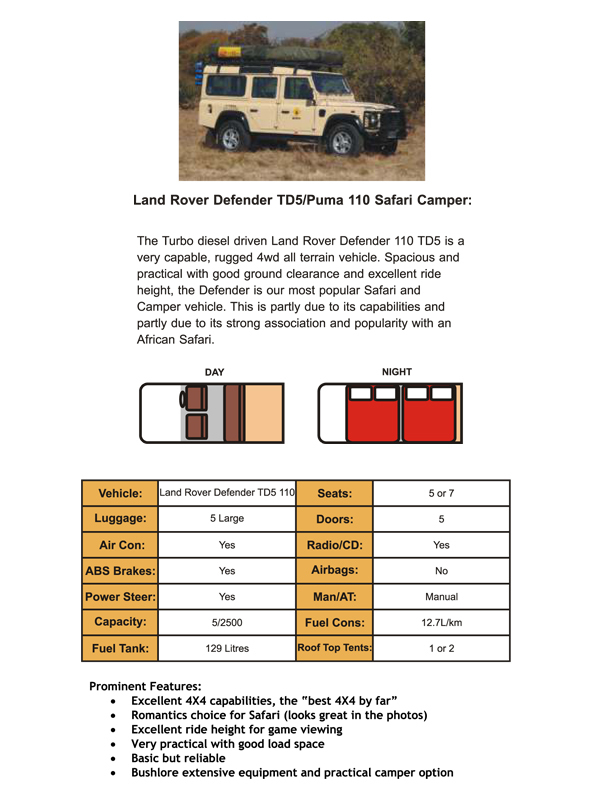 All these vehicles are well known in Southern Africa and offer high standards in terms of off road capabilities, passenger comfort, safety features, performance, road handling and most importantly reliability. 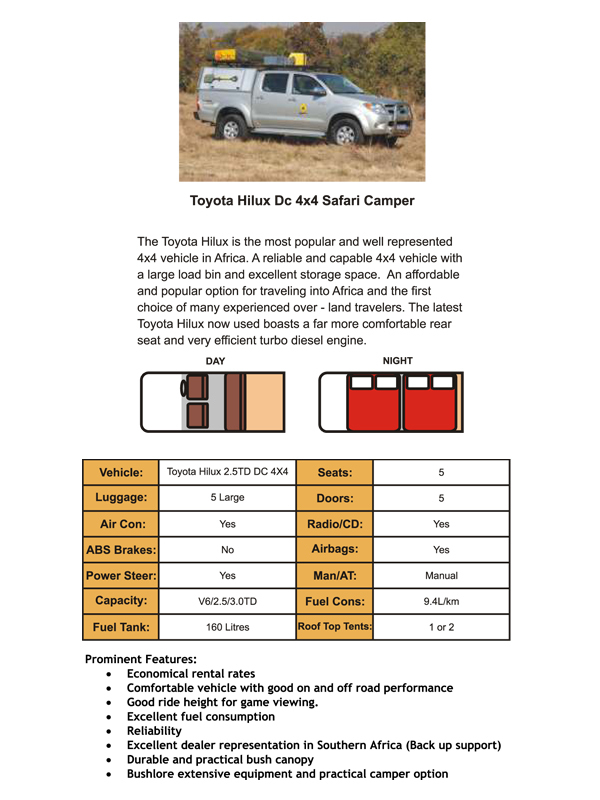 Besides the many standard features on the vehicles, some of which are listed on the table below, all the Diesel Car Hire 4x4 vehicles are equipped with a number of customised accessories to further enhance their capabilities and ensure thorough preparation. Long range fuel tanks, dual battery systems, rear differential locks and a host of other equipment is standard fitment to all the Diesel Car Hire 4x4 vehicles. Our first priority is to wherever possible ensure a safe and trouble free journey. The extensive equipment provided together with our strict maintenance schedules will go along way in ensuring that we are able to fulfil this. Click here to view the current rental rates. CONTACT US DIRECTLY WITH CONFIRMED DATES TO SEE IF SPECIAL RATES ARE AVAILABLE.